It is not simply a trick of the imagination; Christmas really does start earlier every year. In fact, 40% of consumers begin planning their Christmas shopping in the month of September, and retailers have heard this and started putting out their festive displays well ahead of time. As summer draws to a close and attention turns to stocking up for the festive season, retailers are advised to start investing in display materials and chrome shelves in advance, to ensure they are ready for the Christmas crowds. Christmas is a time when shop floors are packed to the limits with eager shoppers, and managers are eager to get as many products as possible onto the shelves. Having a selection of portable, high-quality chrome wire shelves is a great way to attract customers and put out extra stock without blocking aisles or walkways. 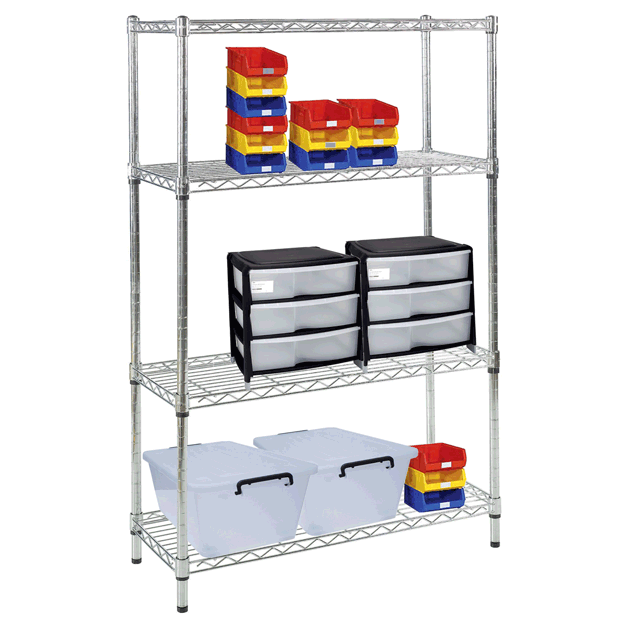 The 900mm x 457mm x 457mm shelving unit from Chrome Shelves is a great solution. It can be placed in doorways of shops with some of the most popular products as a way to lure in potential customers, and they can be used as stands for special offers or discounted products. Their compact construction means they can easily be moved around, and the chrome finish is stylish enough for any retail unit or shop floor. If wholesaling is your game, huge shelving units will be integral to Christmas display strategies. Investing in a majestic 1800mm x 457mm x 457mm display solution for use on the shop floor, or even in the stock room, is a great way to ensure certain products are visible and easily accessible for all. The tall, thin wire shelving units can be moved around the workplace with ease, and they are versatile, too; the shelves which are included are fully adjustable, and extra shelves and poles can be added to extend the units even further if the demand is just too high. Faced with the problem of unsteady ground in a stock room? It’s not a problem for these units, which also have adjustable feet. As well as the units themselves, it is advised to invest in spares; extra shelves for those smaller products, extra poles to adjust the size of a certain unit, and chrome wire trolleys on castors are all must-haves for the busy Christmas season, that will see profits soar and customers happier than ever with their festive shopping experience.